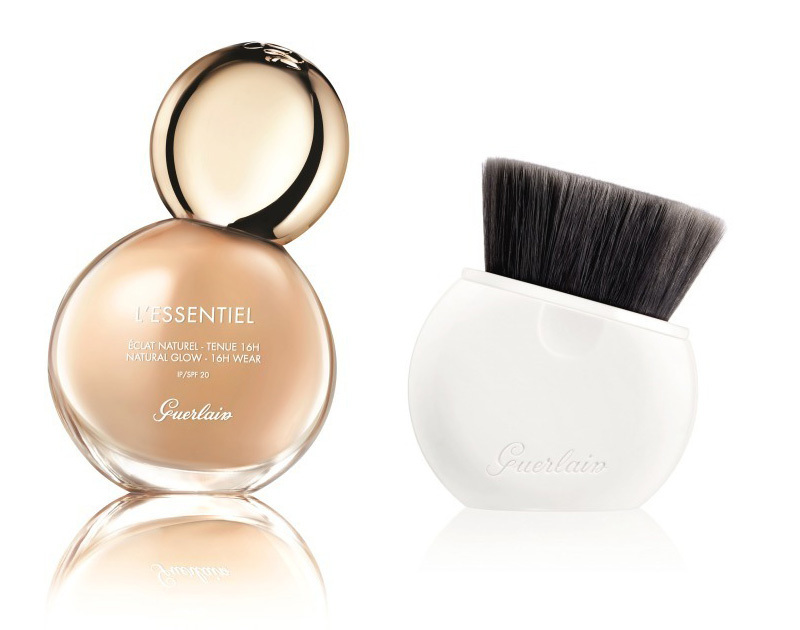 Guerlain L’Essentiel is the new foundation that the brand will be releasing next month. 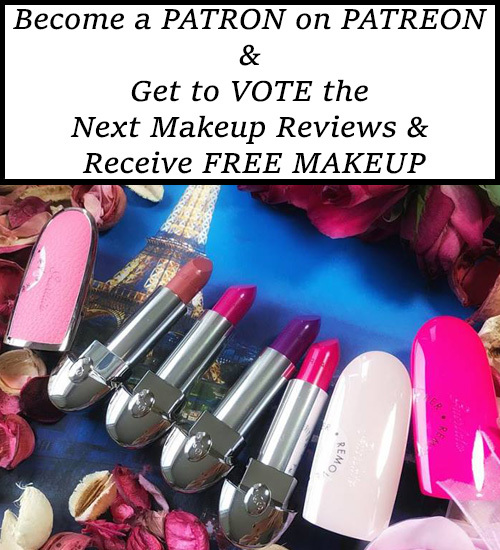 I have gathered details and more information about this entire range of shades so keep on reading to find out everything. 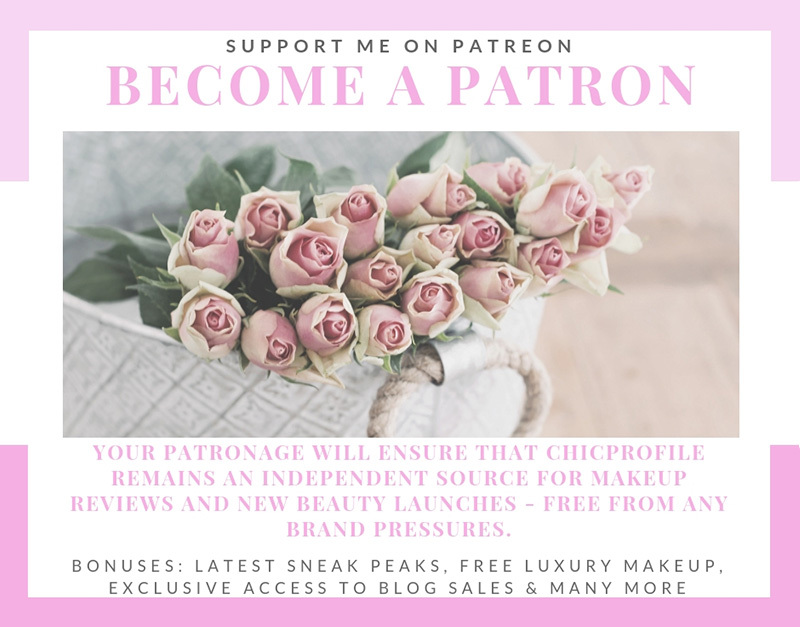 As a Guerlain fan and consumer, I’ve been trying most of their foundations over the years so I’m really excited about this launch. Once this beauty will hit counters, I’ll be the first one in store to try it out! 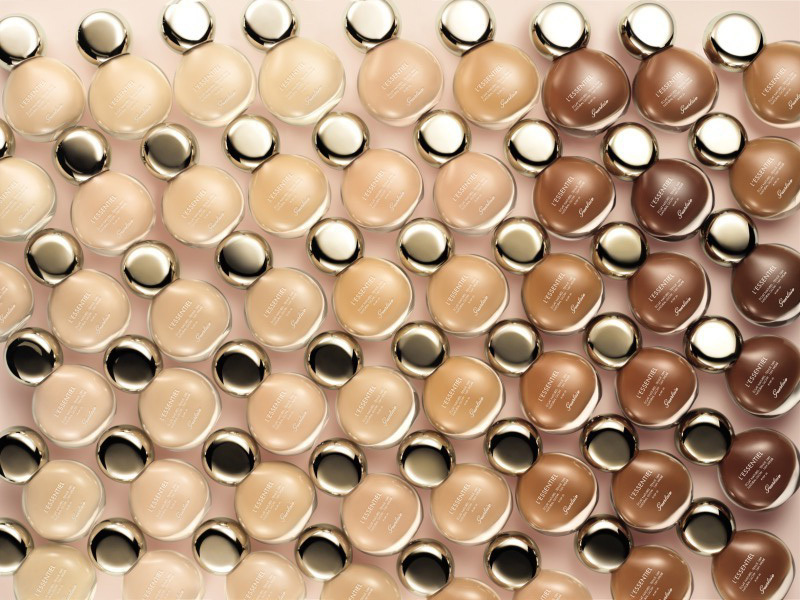 The first reason why I’m excited about the launch of Guerlain L’Essentiel foundation is the 30 color range. So yes, we get a pretty wide variety of shades from light to medium and deep, dark skin tones. Second of all, I’m not going to lie but I do find the packaging very cute and I’m very curious how the application will work, considering that new mini foundation brush that comes along. Last but not least, is the new formula that contains 97% natural ingredients. The finish is natural and radiant while the foundation can last up to 16 hours on your complexion. To tell you the truth, I don’t think all the 30 shades will be available worldwide. From what I understand so far there will be countries in Asia where only 10 shades will be available. At the moment I spotted the foundation online on a Russian website and there were only 20 shades. So I believe the shade range will vary from country to country. When I was living back in Romania, Guerlain didn’t have all the powder and foundations shades available. As I mentioned, the formula contains 97% naturally-derived ingredients. Yacon Juice from which prebiotics are extracted. As a part of the symbiotic complex selected by experts for in-vitro results on its ability to improve skin defense, the balance of the skin’s ecosystem and to strengthen the skin barrier. White Cocoa Beans for its ability to improve hydration and help strengthen the skin barrier. Duo of Tara and Red Algae Extracts – selected by experts for in-vitro results on its ability to let skin breathe, and ex-vivo on its ability to protect from pollution. 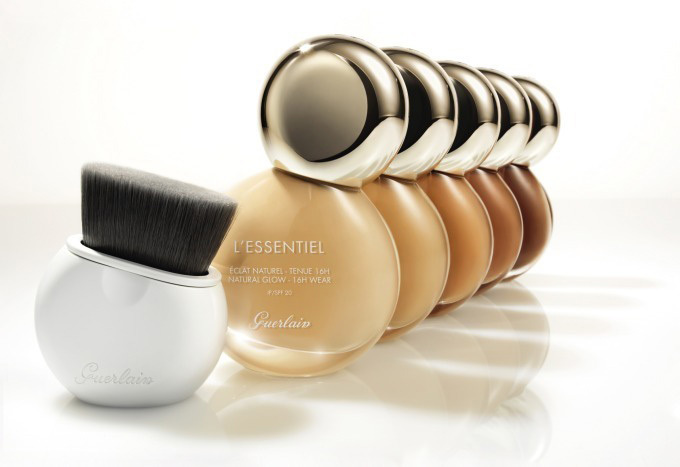 The new Guerlain L’Essentiel foundation promises to give your complexion a bright a fresh look. The texture is comfortable, liquidy and melting, just perfect to build up the coverage from light to medium. If you were expecting a high coverage foundation, you may look elsewhere. But if you want to have a better looking skin everyday then you may give this one a chance. The formula lets the skin breathe, moisturizes and protects it from pollution. Your complexion will look more even while the appearance of skin imperfections will be concealed and reduced. The appearance of pores is reduced by -49% and the appearance of pigmentary imperfections by -39%. It’s suitable for sensitive skin even though it has a scented formula. The fragrance is woody musky and begins with an almond head, while the heart contains white tea notes and sandalwood as base note. The charm of the scent is accentuated by notes of white musk and tonka bean. 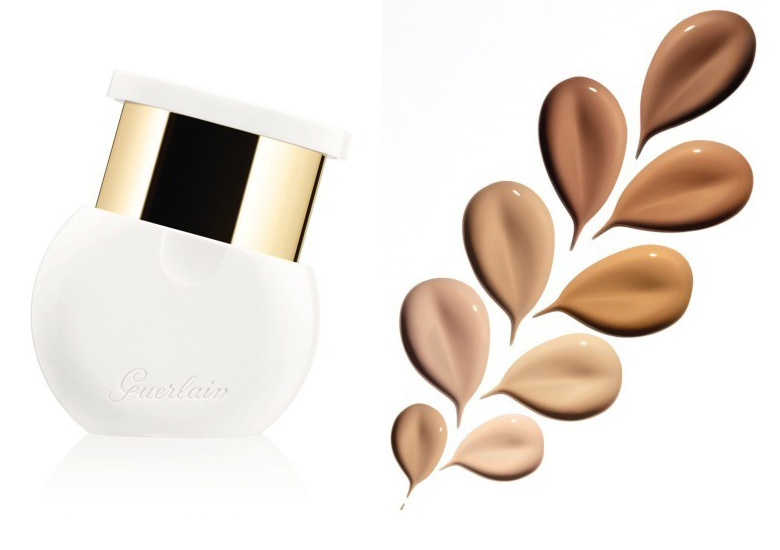 I’m curious to know your thoughts on the new Guerlain L’Essentiel Natural Glow Foundation. It this something that you are willing to give it a try? I have never owned a Guerlain foundation but this is one I am going to try. You are correct in saying that most countries don’t carry all the shades. I have found that US retailers are the ones that carry the most shades regardless of brand. For example, Shiseido in Japan, even at their flagship store in Ginza, carries far fewer shades than Macy’s or Nordstrom. 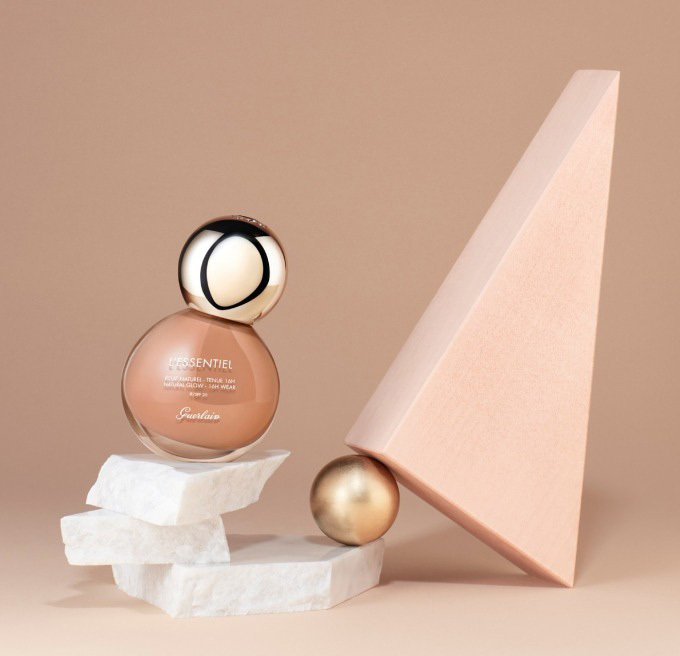 Clarins counters in the US carry all of the shades of Skin Illusion foundation but in Singapore, they carry six or seven, which is weird because there are a lot of dark skinned people in Singapore (Filipinos, Malaysians, etc.). I fall into the darkest shade you can find in Japan and Singapore (for Shiseido foundation), and I’m not even that dark (I am Chinese Filipino). If I have spent a summer swimming in the Mediterranean, I fall outside the range sold in Asian stores. I have a Japanese friend from Fukuoka who is darker than me and she uses MAC foundations. Oddly enough, Hongkong stores have one or two shades deeper than Singapore stores at least for certain brands like Bobbi Brown, Shiseido, Clarins. So strange. Most people in Hongkong are Chinese, and there are fewer Malays and Indonesians working there (Chinese in general tend to have lighter skin than Malaysians, Filipinos or Indonesians. I say “in general” because many Chinese who are from the Philippines, Malaysia and Indonesia can be very fair). Among the worst places for shade variety are airport duty free stores and this applies to foundation as well as color makeup. Yet if you look at the travel statistics from the past 5 years, so many more women from India, China, Thailand, the Philippines are traveling, but the duty free makeup is stuck in the 1980s, as if the travelers are exclusively from Europe and the USA.